We all want to save money when grocery shopping. 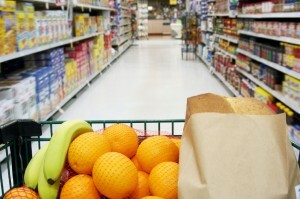 Do you wonder how to save the most on groceries? There’s no one single way to do it, but combining a few well-known ways at the right time, and your next grocery bill could be next to nothing! You save more on grocery shopping by planning ahead! One of the prerequisites to big-time savings at the grocery store is to have a plan. You need to anticipate necessary purchases prior to making them. Why? If you know you will soon need more of an item, you can start looking for deals, coupons, or alternative purchasing options to get the best deal. In the past few years, we have seen the cost of groceries rapidly increase to the point of putting significant strain on our wallets. Some things to note… Bread and chicken breasts are listed in the Mid-Term category because they can be frozen. If you have never frozen your bread, I have never had any problems with doing so. Does freezing bread affect its taste? Again, I have never had any issues with doing it. Why divide your grocery items into these categories? First, you need to know how long you have to use a particular product. Buying 5 gallons of milk on a super-sale is of little benefit if 3 gallons spoil before you can use them. However, a great deal on shampoo or toilet paper is something to take advantage of. You’ll want to stock up on these because they have an somewhat unlimited shelf-life. This is a simple concept, but many people don’t do it. A grocery shopping plan takes time, but the savings can be huge!